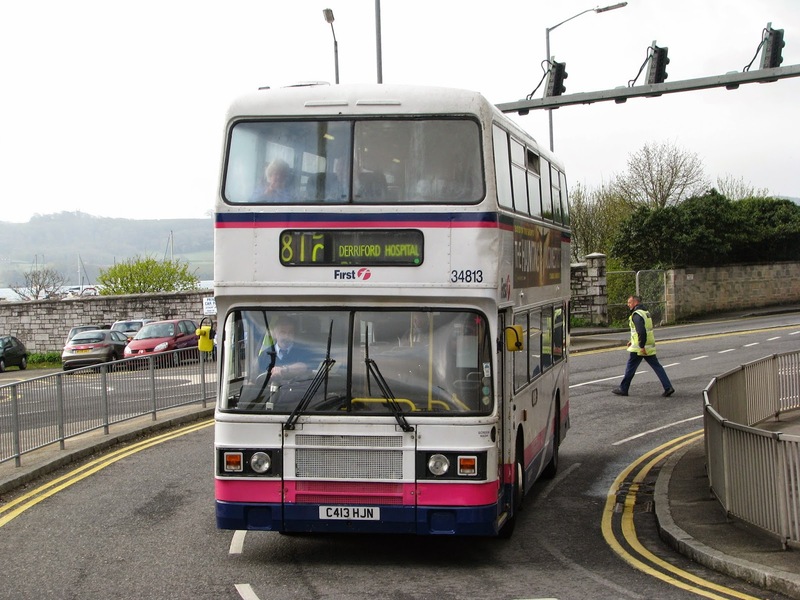 As I'm sure you're all already well aware, the Eastern National Leyland Olympians that graced the streets of Torpoint in the latter half of the 2000s are a batch of vehicles I have a large soft spot for, despite them forcing the withdrawal of the last of the Bristol VRs. In fairness, we could have asked for nothing better than the coach seated, Gardner engined beasts that were C409, 412, 413 and 417 HJN. 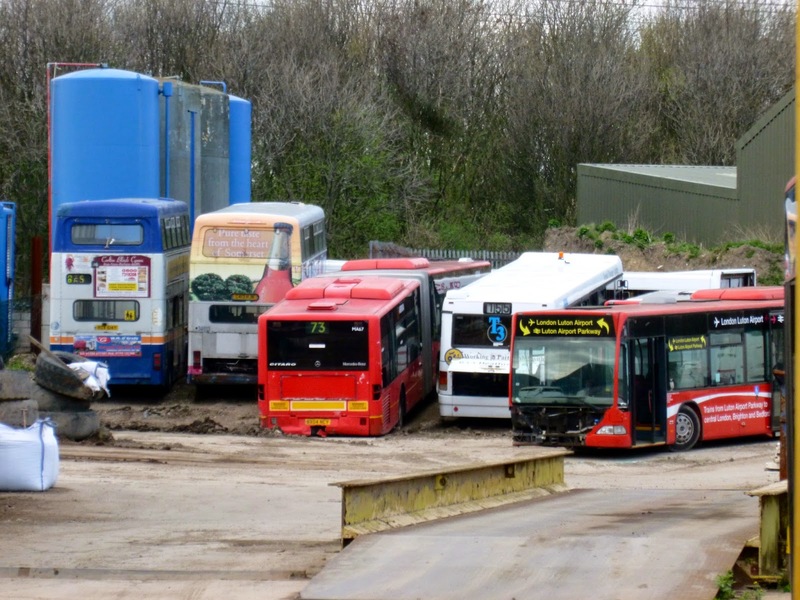 Two of the four managed to escape into another life after withdrawal from Torpoint depot during 2008 and 2009 to join Dance Troupes in Crewe and Manchester, but unfortunately, five years down the line, the living examples have now been reduced to just one. C413 HJN was the one that went to Manchester with The Sherenades Dance Troupe, replacing their Ex-East Yorkshire Bristol VR WKH 525X. The livery was never hugely modified from her days with First, with merely some black paint applied to cover up the pink areas of the Barbie livery. She worked with them for the successive 4-5 years after she left First in 2009, but now, after 28 years of constant use, she's finally been sent to the cutter's torch in the infamous town of Barnsley, where so many vehicles go to die. She's certainly lived a varied life though, having been bought new by Eastern National to operate from their Silver End depot on route 53 linking the major towns of Chelmsford and Colchester of which the former has now become a City. She then progressed onto other local routes around various locations within Essex, loved and cherished by the Essex depots she worked at, before then heading for 'retirement' in Cornwall in 2005. She's put in some sterling years of service, with passengers always genuinely impressed by the comfort of her DP seating, even in her latter years. The Gardner 6LXB and ECW bodywork have also of course played a big part in her longevity, and no doubt she has proved to be a very suitable vehicle for the long distance conveying of dancers to competitions across the country. Unfortunately, the bell has been rung for the last time. This of course now leaves C412 HJN as the final Leyland left to have worked at Torpoint, so naturally I reached for the DVLA (surely it should be DVSA by now!?) Vehicle Enquiry tool to see if I could gather anything about her current state. Unfortunately it's not looking too good for her either, with 412 currently declared as SORN. I hope to bring you more news on her as I acquire it, but I'd really like to see her saved for the future. 412 again as I'm sure you know was always my favorite during her time at Torpoint, and now that she is the only survivor, she has become even more important. We shall see what her current owners plans our, and then react from there! Photo of C413 HJN in Parton's Barnsley Scrapyard comes courtesy of Mark Kirk, with many thanks from me for allowing the sharing of it on PTOTPA. Slight correction: 4013 was new to Silver End depot for use on the 53 Chelmsford - Colchester route. Thanks very much for the correction Anon. Was it later on that she progressed onto the Oxford Circus route or was it other members of the batch that were used? I'm sure I recall seeing 4012 on the promotional material for the route. X51 Southend-London was operated by SD, so only 4009/4010/4011/4012 would have appeared. South Essex sisters 4018/4019 primarily worked the 251 Southend-Wood Green. At one point, there was a pool of 251 vehicles which would start the day at one depot (WG (Wood Green), SD, BD) and finish at another, but I think this arrangement was long gone by the time the DP ONs arrived in 1985 so don't think that 4018/4019 would have been used on SD services such as X51. 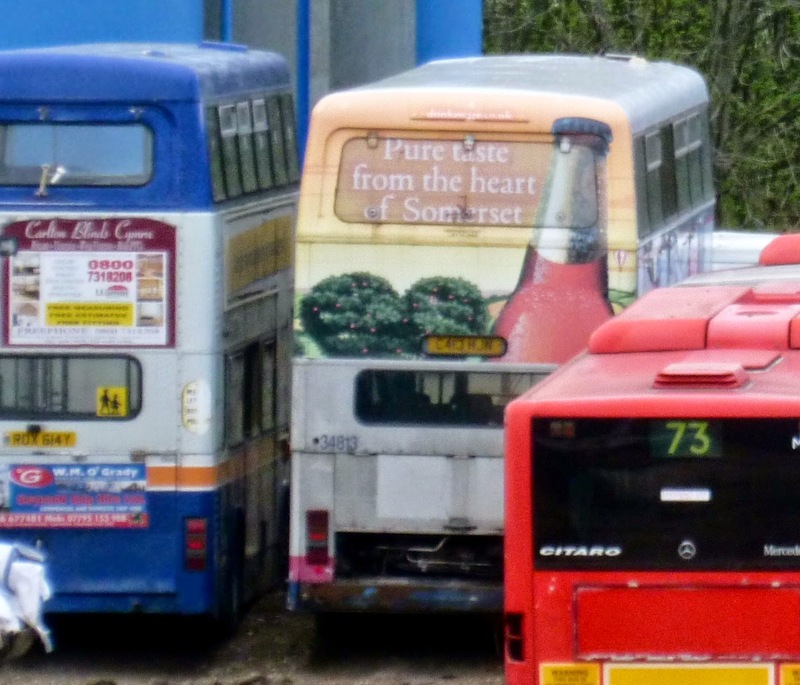 In mid-life, most of the remaining vehicles moved to CF (Chelmsford), DT, or CR (in some instances two or all three!). Their final years were spent mostly at CN (Clacton), where they had a final refurb and repaint into 'Barbie 2', and then back to CF and BE, BE by this point having been downgraded to a subdepot of CF. That's brilliant, thanks very much indeed for expelling your local knowledge :-) Wouldn't have had a hope in establishing all that as an observer almost 30 years on! Almost seems mad the number of depots the batch were split up between.